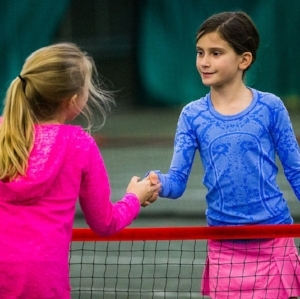 The 10 & Under Tennis program is about fitting tennis to kids based on age and physical size. Any child can start playing tennis almost immediately, even if he or she has never picked up a racquet. To make it easier for them, we changed the court sizes, racquet sizes, the balls, the scoring system and even the net height. Like other popular youth sports, 10 & Under Tennis stresses the importance of play and team competition. Note: 10 & Under is the name of the program but it is for older children as well. Our clinics are organized into small groups by age and level. Stage color represents age, with multiple levels at each stage. Green 2 builds on the skills and mechanics mastered in Orange 1, Orange 2 or Green 1 . Specifically, each player learns to develop areas of strength in their game and learns how to use them to their advantage. Players in Green Transition compete in tournaments, team tennis and interscholastic competition. 5:1 player to pro ratio. This course is dedicated to providing an opportunity for intermediate level teenage players to progress their skills in a fun and competitive environment. Players who participate in this program must have prior experience and should have aspirations of playing High School tennis. Stroke development, footwork, doubles and singles strategies will all be covered during the course of the session. 5:1 player to pro ratio. 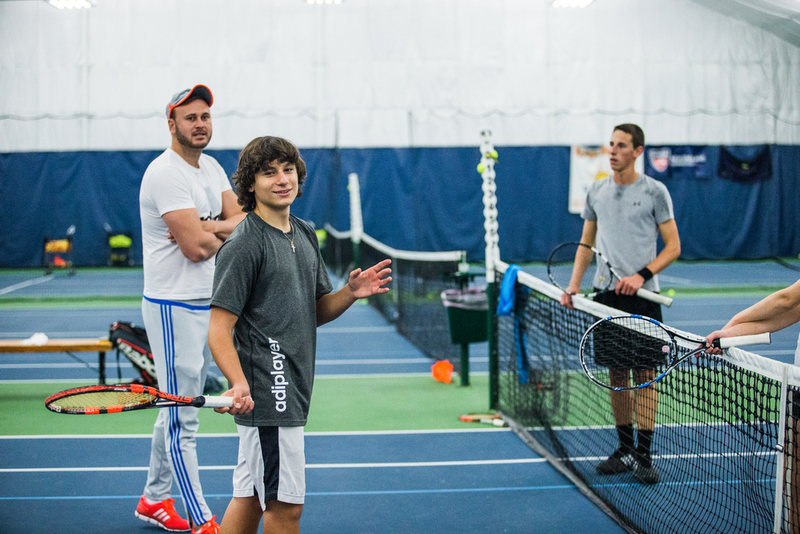 This program is for the 15-18 year old player who is playing high school varsity tennis and Level 7 tournaments. This is an intense program designed for competitive high school players. On court drills will include point play, dead ball drills, fitness drills and mental toughness skills. 4:1 Player ratio. Match play focuses on players using tactical and technical skills developed during practice. It consists of players understanding the fundamentals of scoring, using tactics to exploit their opponents weaknesses and playing to their own strengths. Players will learn how to compete and conduct themselves during pressure situations. Match play is the ultimate goal of practice.